The TeraPlast Group will submit three investment projects totaling EUR 15 million under the State Aid program to stimulate investments with a major impact on the economy. “We consider that this state aid scheme is better suited to the size of the TeraPlast Group companies. We also want to see how the statements made in the public authorities are actually transformed, as this scheme aims to support Romanian companies, for that so far foreign aid has been granted to state aids,” said TeraPlast Group Chairman, Dorel Goia, Chairman of the Board of Directors. According to a press release of the company, TeraPlast proposed an investment of EUR 6.2 million, of which EUR 3.1 million would be state aid for investment in equipment for the plastics division of group. Within this project, the company will come up with new innovations in the PVC grain market, respectively TeraPlast will be the first producer in Romania of halogen-free, fire-resistant granules used for insulation of electric cables. “From the leading position on the external sewage floor, TeraPlast is considering expanding the production capacity of indoor polypropylene sewage systems, which are a superior quality alternative to PVC systems. The trend in the last period has been to increase demand for products from Polypropylene waste resulting from the technological process will be recycled and reprocessed, TeraPlast remaining constantly in the goal of providing effective solutions for people and the environment,” the press release said. 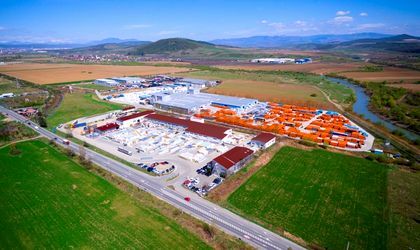 In this context, Depaco will open a production facility in a new location of 38,000 square meters in Baicoi (Prahova County). The factory and new production lines will ensure optimal logistics and storage flows and an annual production capacity of over 10 million square feet of tile. Depaco will build, in a first phase, 10,000 square meters. The budget for construction and the increase in production capacity is EUR 5.2 million, of which EUR 1.9 million would be financed by state aid. According to the press release, TeraGlass will apply for state aid with an investment project of EUR 3.5 million. 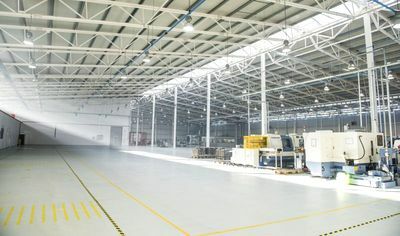 The objective of the project is a new production of fully automated windows and doors, which will also contribute to increasing production capacity and labor productivity. This investment comes as a result of the growing demand for TeraGlass products. The cumulative amount of state aid does not exceed EUR 6.8 million, which the beneficiary companies commit to contribute to the state budget through additional taxes and salary contributions by 2024. “The scheme by which the TeraPlast Group applied for state aid is aimed at stimulating investments with a major impact on the economy and regional development. In the context of the approval of the financing, all three projects will be launched immediately,” the document quoted. The TeraPlast Group also submitted a project worth EUR 13 million in 2017, being the first Romanian company to request such state support. For this investment, the state’s contribution would have been EUR 6.5 million, but the project did not receive approval, so the company financed the first stage of the project – worth EUR 3.5 million – from its own sources. With a tradition of over 120 years, the TeraPlast Group is currently one of the world’s leading manufacturers of building materials. The TeraPlast Group opened in October 2017 TeraSteel Serbia, the first factory wholly owned by a Romanian company, inaugurated after 1990.